Place potatoes in an exceedingly massive pan and canopy with water. bring back a boil. cut back heat; simmer, uncovered, till tender, 8-10 minutes. Meanwhile, crumble sausage into an oversized skillet; add onion. Cook over medium heat till meat is not any longer pink; drain if necessary. Drain potatoes; organize in associate degree unlubricated 13x9-in. baking dish. Drizzle with butter. Add sausage mixture and stir gently. Sprinkle with cheese. Bake, uncovered, at 350° till cheese is liquified, 5-7 minutes. 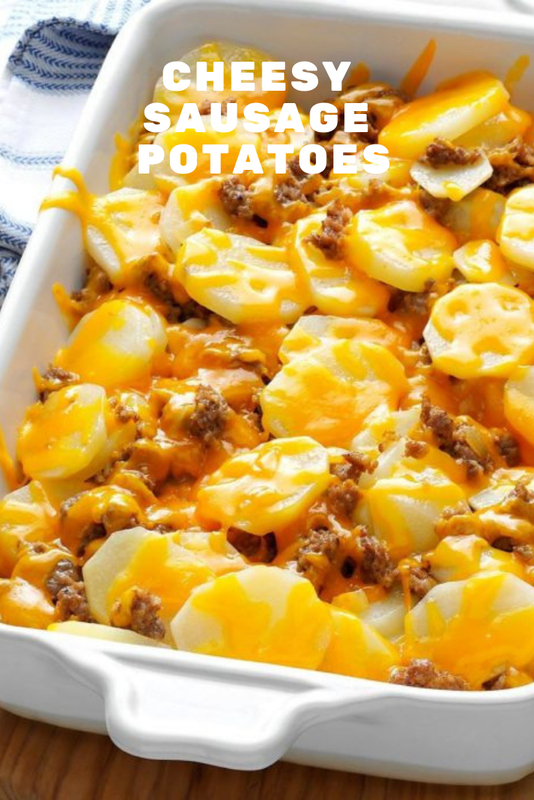 0 Response to "Cheesy Sausage Potatoes"